Breakthrough author Francis Chan rips away paper and bows in Forgotten God to get at the true source of the church's power - the Holy Spirit. In Forgotten God, Francis Chan contends that we've ignored the Spirit far too long, and we are reaping the disastrous results. Through scriptural support and compelling narrative form, Forgotten God is Francis Chan's invitation to stop and remember the One we've forgotten, the Holy Spirit. Francis Chan is Senior Pastor of Cornerstone Church is Simi Valley, California. He is the author of Crazy Love, which also contained a profound message. 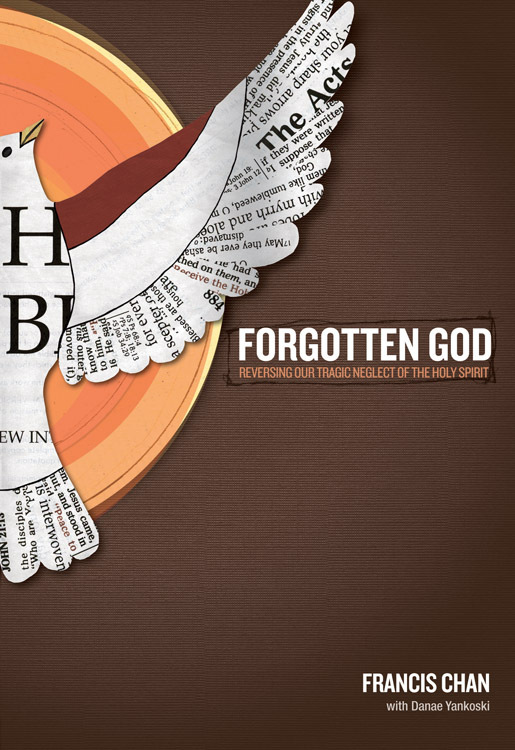 Forgotten God by Francis Chan was published by David C Cook in May 2009 and is our 4208th best seller. The ISBN for Forgotten God is 9781434767950. “From my perspective,” writes Francis Chan, “the Holy Spirit is tragically neglected and, for all practical purposes, forgotten.” So he sets out in this book to convey truths about the Spirit that are “obvious, neglected and crucial” and to draw the reader into “deeper communion with the Spirit and greater experience of his power and presence in your life.” He encourages us to “listen to and obey the Spirit’s leading in your own life.” By his own admission, Chan doesn’t set out to write a ‘scholarly theological’ volume. The chapter he does devote to the ‘theology of the Holy Spirit’ contains no surprises, but it helpfully unpacks biblical teaching on the Spirit. After each of the 7 chapters comes a biography, designed to challenge and inspire us, sometimes featuring a famous Christian (Joni Eareckson Tada and Francis Schaeffer), more often a less well-known one. The last of the seven is actually about the reader. “What would be written here?” muses Chan. Well, ask God, we read, to “have his Spirit work so mightily in you that it would make for an amazing biography”! Sometimes books on this kind of subject proclaim an extremist theology, and leave me wallowing in guilt and a sense of failure or punch-drunk under a bombardment of miracle stories from a self-promoting author who seems to have all the answers. But this one didn’t, and I could read it without those unpleasant side effects. I appreciated that. Got a question? No problem! Just click here to ask us about Forgotten God.